Emergence is a youth-led multi-disciplinary exploration of the impact rising sea levels are having on our ocean-bound communities, and the responses—intellectual, emotional, physical—that are emerging out of this crisis. This project is driven by a core team of youth and adult artists working in multiple disciplines (media arts, visual arts, theatre, sound), and in collaboration with three media arts companies (DigiMajou, Indigenous City Media, IM4 Lab). 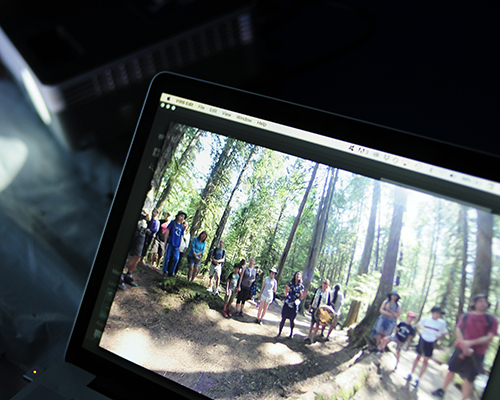 For the first phase of the Emergence Project, participating youth had the opportunity to work with professional media artist Joah Lui of Digi Majou productions as she documented the 2018 Rainforest Circus Submerged with regular and 360-degree cameras. 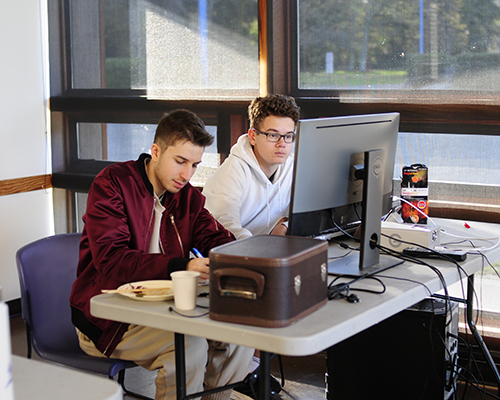 After filming of theSunshine Coast shows, the group reviewed and edited the footage they shot during their first intensive. In addition to the media training, participating youth took part in several workshops that focused on indigenous knowledge and world view (with the support of local indigenous artist Kamala Todd and knowledge carriers) and volunteered at 2018 V/R A/R Conference in Vancouver. Working with installation, media and sound artists Rob Studer, Sandy Buck, Westerly Henry and Joah Lui, the youth team developed two concepts for the Emergence Project. One of which is a sea-shell shaped dome theatre to project 360-degree footage and explore soundscapes to enhance the experience. The second creative project the group envisioned was an interactive sea floor scape with electronic components that would light up and make sounds as the user engaged with it. The youth group divided into two groups that would focus on one of these two art pieces. The group gathered again for their second intensive week working with local mentors to construct the two projects. The mentors had created a design for the dome and the youth made the first 3D model and then began the construction of the full-sized dome out of recycled lumber wrap. Meanwhile the second group built the base of their interactive sea floor exhibitand began exploring with the conductive tape, paint, and buttons that were linked to sound and light boards. 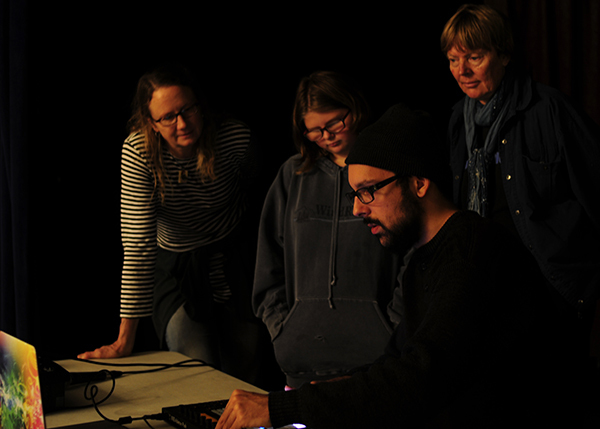 Students interested in exploring the sound component mentored with sound artist Westerly Henry to design the perfect soundscape to accompany both the exhibits. 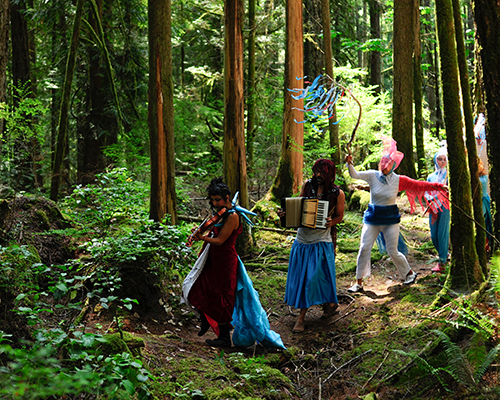 At the end of the intensive they opened their doors to their workshop for the first public engagements with the Emergence pieces at the Roberts Creek Hall. After refining and augmenting the first iteration, the group reconvened to transform the installations into a theatrical event to be shared in local elementary schools. Working with theatre artist Chad Hershler and the rest of the artist team, the youth devised a “show flow” for class groups to experience. The outcomes were then presented to two class groups to explore and engage with the artistic experience, with a feedback session to follow for further development to come.